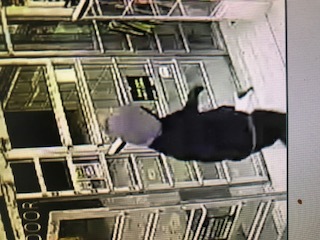 Chattanooga Police confirmed that the Dollar Store at 2010 McCallie Ave. was robbed at gunpoint for the third time in three months on Thursday night. A resident claimed that in the latest incident a person outside at the redbox was dragged in by the robbers. That person was hit with a pistol while on the floor begging that he not be shot, it was stated. Police said the robbery call came in around 8 p.m. Thursday. Two males walked into the store and one demanded money from the clerk. The other watched the customers in the store. Both suspects were armed. The cerk complied. The suspects fled on foot. The store was also robbed around 9 p.m. on Jan. 19. One male walked into store and took money from the register. The suspect was armed. The clerk complied and the suspect fled on foot. The robbery on Dec. 10 was around 9 a.m. Two males walked into the store and demanded the clerk give them money. One suspect was armed. The clerk complied and the suspects fled on foot. Police said robbery Investigators are actively working the cases and following all actionable leads. If you have any information about these robberies, please call the Chattanooga Police Department. You can remain anonymous. 1. Black male, in his 20’s, approximately 5’10” in height, thin build, and wearing all black clothes. Armed with pistol. 2. Black male, in his 20’s, approximately 5’8” in height, thin build, and wearing black pants, a gray hoodie, a dark-colored shirt over the hoodie. Armed with pistol. 1. 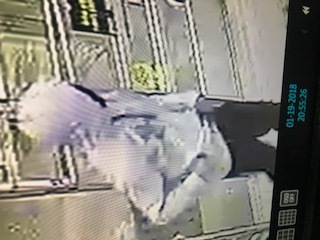 Black male, in his 20’s, about 5’9” in height, thin build, and wearing a gray hoodie, black pants. Armed with pistol. 1. Black male about 5’7” around 140 pounds wearing a dark gray or black hoodie, black pants. Armed with pistol. 2. Black male about 5’9” around 140 pounds wearing a dark gray or black hoodie, black pants.